My least favorite thing about summer is the drastic temperature changes between outside and inside! Retail places often have the AC cranked super high while it’s hot out. Cardigans are usually my staple to solve this problem, but I have a new favorite… the chambray shirt! The chambray shirt is perfect for summer. It has the versatility of a jean jacket matched with the weight of a cardigan! If you’re working this summer & the dress code is a little bit loose, try switching out a typical button down with a chambray! Paired with a pencil skirt, heels and structured bag makes sure this look is still office appropriate. Who doesn’t love a summer full of sunday morning brunch? This look would be perfect for brunch or even a lunch with friends! I go back and forth with the high-low trend, but I really like this skirt. If you’re hesitant about trying it, try to find something with the smallest difference in length from the front to the back. Summer is the perfect time for a picnic in the park! Whether you go on a date, or a friend date, this outfit would be perfect. I used a band t-shirt that could be used as a go to conversation topic if you run out of things to talk about! The chambray shirt would be a great extra layer if you’re sitting in the shade. Since I imagined this as an outside outfit, I kept the accessories simple. This is a great transitioning into fall look! If you are of the mindset that leggings are not pants, look for a chambray shirt in the tall section of stores. They make them longer so it turns into a tunic. This is put together enough to wear to class, but comfortable enough to lounge around your room. 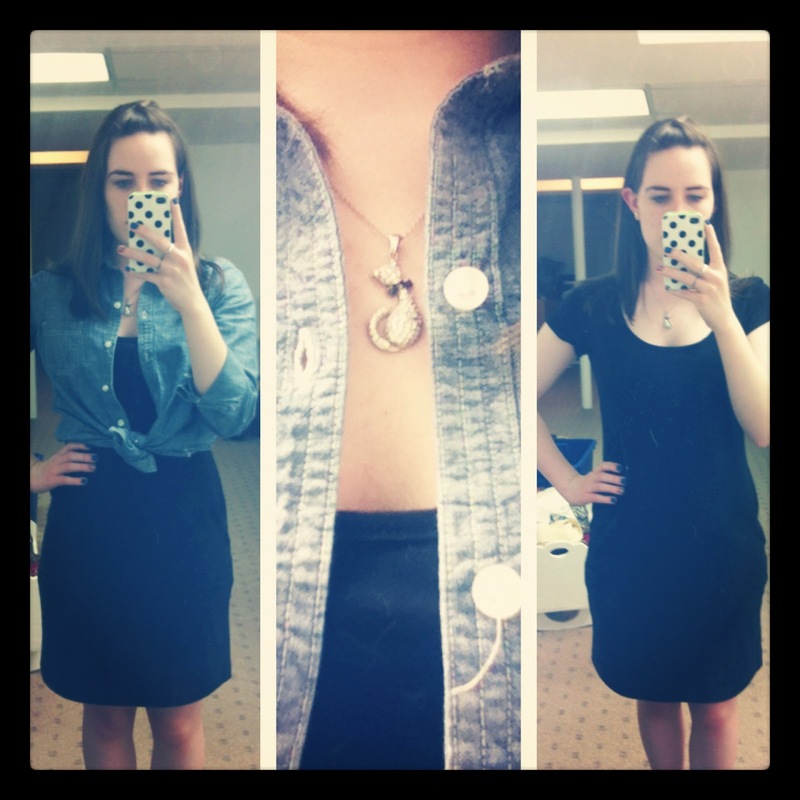 I wore my chambray shirt for the Style Me July challenge! I paired it with a simple black dress and sandals. 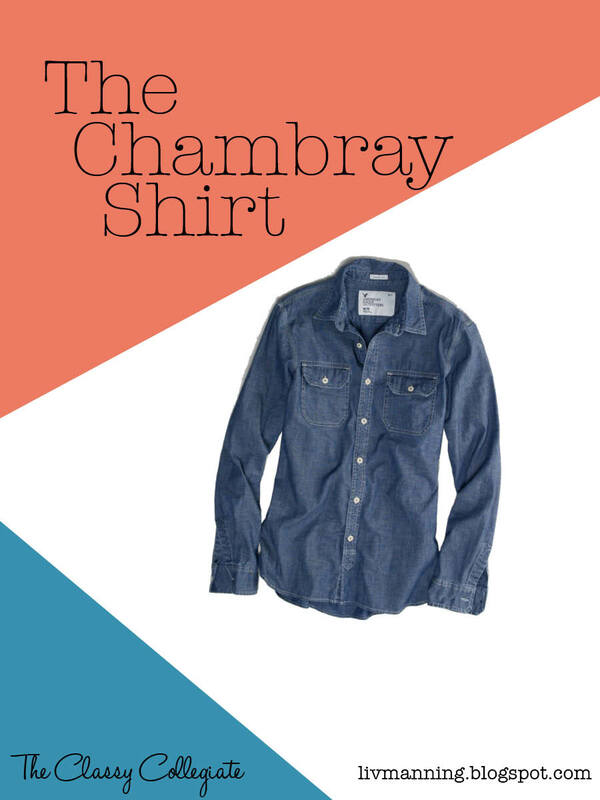 How do you wear the chambray shirt?